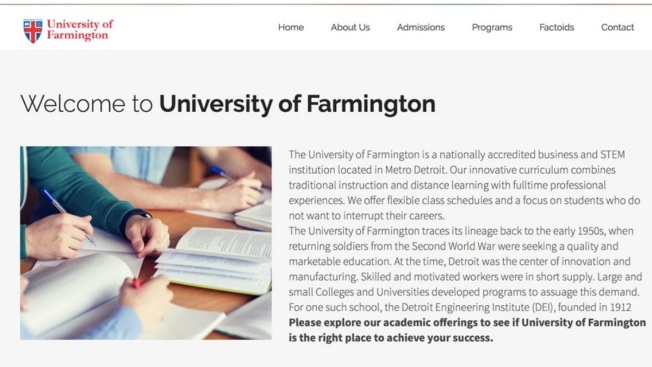 Federal agents created a fake university in Farmington Hills, Mich., as part of a sting operation to expose immigration fraud. This screenshot was taken from the now defunct universityoffarmington.edu website. India said it is closely monitoring the detention of several Indian students in the U.S. and has urged authorities there to not deport them against their will. Indian news reports say as many as 129 Indians were among those detained Jan. 30 by U.S. immigration authorities in connection with enrollment at a fake university. U.S. Immigration and Customs Enforcement said that the university was set up by authorities as part of sting operation to catch people violating the terms of their visas. The Indian Ministry of External Affairs said in a statement Saturday that it has been in contact with U.S. officials and has expressed concern for the detained students. The ministry said it urged the U.S. to release them "at the earliest" and cautioned that some "may have been duped." "Our concern over the dignity and well-being of the detained students and the need for immediate consular access for Indian officials to the detainees was reiterated," the statement said. 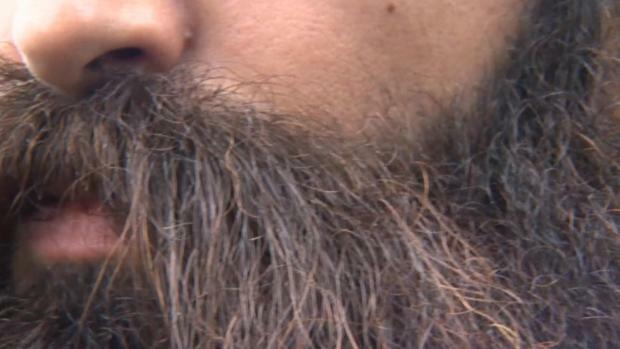 It also said the students "should be treated differently from those recruiters who have duped them." "Homeland Security Investigations special agents uncovered a nationwide network that grossly exploited U.S. immigration laws. These suspects aided hundreds of foreign nationals to remain in the United States illegally by helping to portray them as students, which they most certainly were not," Steve Francis, the Homeland Security Investigations special agent in charge, said in the statement. The university in the Detroit area was operated for almost two years by HSI special agents as part of an undercover operation, the statement said. The eight alleged recruiters assisted foreign citizen students in "fraudulently obtaining immigration documents from the school and facilitated the creation of false student records, including transcripts, for the purpose of deceiving immigration authorities," it said. "All participants in the scheme knew that the school had no instructors or actual classes," the statement said.